Based on the largest ever research study of its kind, with detailed data on over 8,600 leaders in more than 170 countries, the book identifies 12 specific behaviors – or “powers” – that drive marketers’ business impact and career success. MOBILIZE YOUR BOSS: Make an impact at the highest level and align marketing with your company’s priorities. MOBILIZE YOUR COLLEAGUES: Inspire and motivate your non-marketing colleagues to deliver a great customer experience. MOBILIZE YOUR TEAM: Build and align a winning marketing team. MOBILIZE YOURSELF: Focus on goals that will benefit your customers, your company and yourself, by meeting your own needs and ambitions. 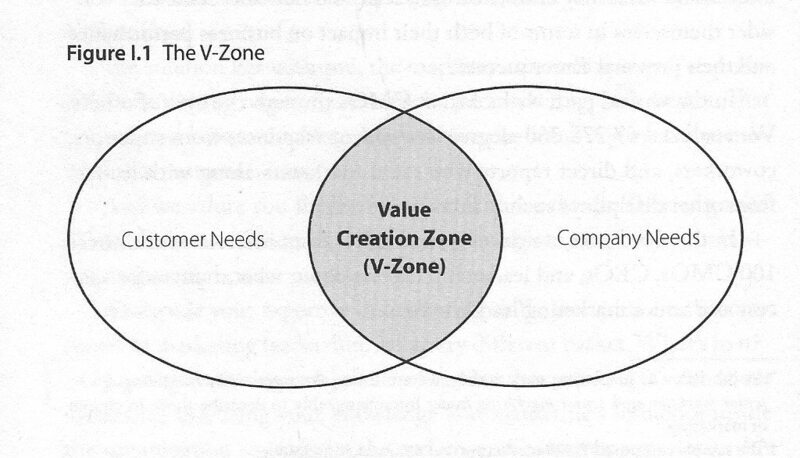 The common thread throughout the book is the value creation zone (“V-Zone”), which is the all-important overlap between your company’s and customer’s’ needs – that is the linchpin between helping your business win in the market, and achieving your career goals. Leading marketing isn’t just about serving the customer. It’s also about increasing and using your knowledge and marketing’s influence inside the organization to improve the end-to-end customer experience. It’s about mobilizing your boss, your colleagues, your team, and yourself to maximize the overlap between customers needs and the company’s needs. That, then, is what this book will teach you. This isn’t a marketing book. It’s a leadership book for marketers. You have an important choice to make: you can choose to continue as just a technical marketer. Thanks to digital, you shouldn’t get bored – there will always be interesting new things happening. But you’re unlikely to create significant impact for the company. You may even end up frustrated by your limited career success. This book offers you a more ambitious alternative – almost certainly better for both the company and yourself. Use your leadership ability – and the new digital opportunities – to achieve what few firms do really well: connect customers and the company.